EtherMeter Compatible with Master Meter’s New ELINX Water Meter Register! 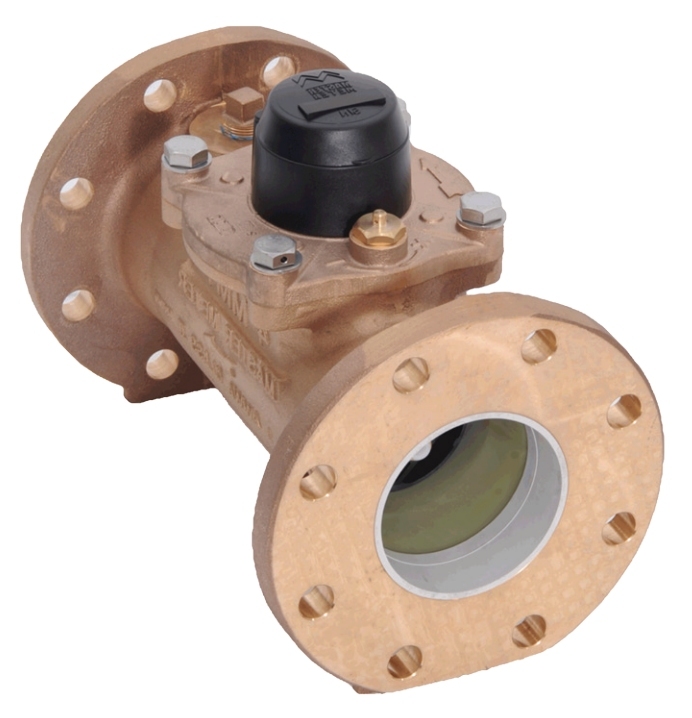 SCADAmetrics is pleased to report that the EtherMeter has been verified compatible with the ELINX absolute encoder water meter register offered by Master Meter Inc. (Mansfield, TX). ELINX Water Meter Register Data Sheet. The ELINX features an internal microprocessor, transmits a high-resolution 8-digit consumption message, and is internally-powered with a 20-year battery. Also, the ELINX is also offered in the form of a mechanical “odometer”-type version, the ACCULINX. When connected to a SCADAmetrics EtherMeter, the high-resolution allows the user to collect realtime rate-of-flow information and also helps with leak detection algorithms. And, as with all encoder-type registers, it allows for revenue-grade-accurate totalization. However, it is important to note that the ELINX and ACCULINX may also be ordered with the option to transmit less than the maximum number of digits. Therefore, when ordering an ELINX or ACCULINX register from Master Meter, it is important to specify that the register be pre-programmed to transmit ALL available digits! The ELINX and ACCULINX family of registers is compatible with Master Meter’s Turbo and Positive Displacement meters. Also — and this is a very important development — the ELINX can be installed as a third-party replacement register for many OTHER makes/models of water meter! Notable on that list is Elster-AMCO, who no longer manufactures parts or registers for their commercial turbo meters or residential positive-displacement meters. The ELINX can therefore be used to retrofit these meters with modern, absolute-encoder-type registers. The EtherMeter Compatibility Matrix has been updated to reflect these results. Test register provided courtesy of Master Meter Inc. (Mansfield, TX). 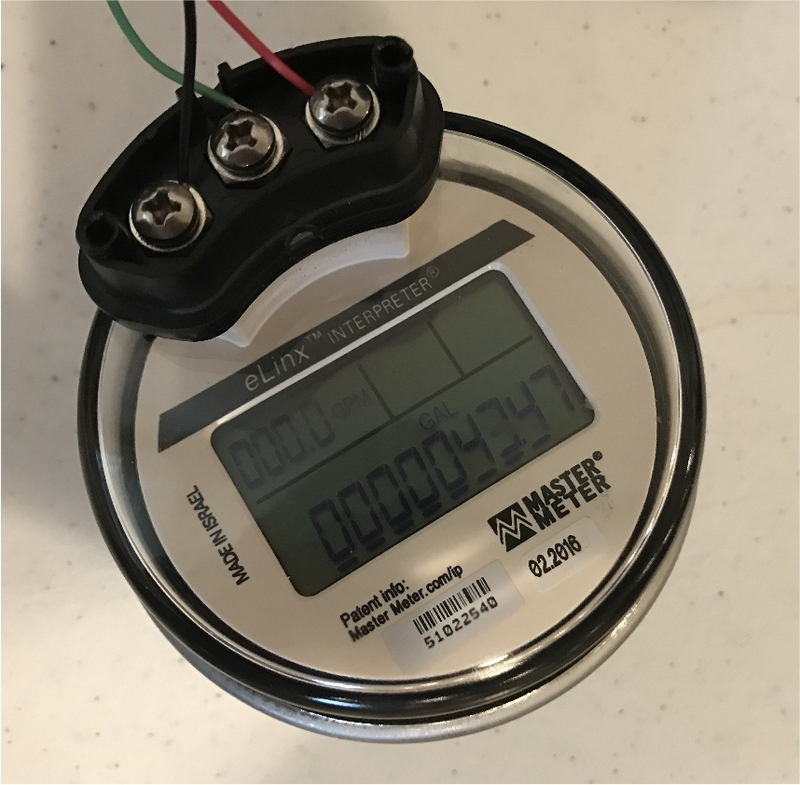 Validation Test Register, Courtesy of Master Meter Inc.
Master Meter MMT Turbine Meter, Which Can Be Outfitted with an ELINX Register for Integration with a SCADA System via the EtherMeter. Interested in more information? Give us a call. We’ll be glad to discuss how the EtherMeter and Master Meter flow meters can be combined to bring revenue-grade totalization and rate-of-flow information into your SCADA, Telemetry, or Building Automation System.